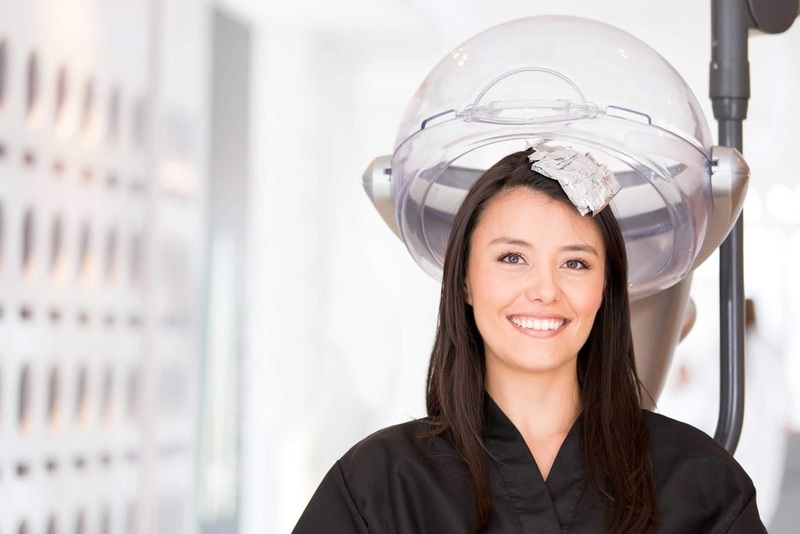 10 Benefits of Hair Spa and Its Advantages for Hair Health – When you are pampering yourself in the salon, you may be offered on several treatment options such as creambath, hair mask or hair spa. Though all of three may look a bit the same but who would have thought that among the three, hair spa has more benefits than the other two types. Hair spa Has a process close to creambath.The difference, when having hair spa your hair will be given a special herbs or serum that are used to nourish hair. In addition,in hair spa you do not get head massage process.Because the pressure such as massage on the scalp which is often done increambath could make hair break easily. For this reason, hair spa is right for those of you who suffer from hair loss. Moreover, other hair problems such as dry, dull, unruly hair to dandruff can also be relieved in this way. With the right treatment, hair spa is able to produce healthy hair growth and make it stronger, shiny to look more perfect. Well, it seems hair spa has its own advantages that makes us immediately want to try it. To be more certain, let's know more benefits of hair spa. For those who feel they do not have hair strength like often falling out even thinning, hair spa is the right solution to fix this problem. That's because the given serum will rebuild the strength of each hair follicle and produce a strong volume so that the hair appears thicker and easier to arrange. When having hair spa, usually there are several types of serum and vitamins which are used in the middle of treatment. The vitamins and serum have different contents according to what brands or products you use. Even so, basically it all has the same benefits of maintaining hair health, ranging from preventing hair loss and dandruff, increasing hair strength and fertility to softening as well as adding a fragrant aroma to the hair. Hair is the crown of the head, as the saying goes. Beautiful hair will bring confidence to its owner. So that, by doing hair spa your hair health will always be maintained well and the will look dazzling. This means that by having hair spa then our hair will get the needed nutrients from the root to the end of the hair. In addition, the scalp will undergo a revitalization process that results in a healthier and shinier hair condition. Your hair looks moist and not beautiful to see? Just so you knowthat it happens because of the condition of excess oil on the scalp. If you don’t take immediate action, dead skin cells will arise and lead to worsen hair damage. In this case, the hair spa helps to normalize the oil as well as remove dead skin cells on the scalp. The result, the hair becomes so soft, healthy and easy to set. As a result of daily habits such as exposure to pollution or chemical contamination from shampoos, hair may be susceptible to damage such as dry hairorhair loss. Do not take a shortcut by cutting the hair rightaway. The best way you can do is having a hair spa. Provision of vitamins and good treatment will cure your hair from the hair problems. Having dry hair is so disturbing! Not to mention cracked, branched, to stiff and unmanagable hair. In this condition, you can make a hair spa as a solution. Because hair spa is believed to be able to restore the hair moisture so that each its strand will become more smooth and luminous. Pamper yourself with a hair spa and see great results on hair when you visit the salon. You will get satisfaction that produces a happy feeling as well as relieve stress due to previous hair problems. Finally you feel more calm and feel more confident to step in front of anyone because of the new look after the hair spa. Not a strange thing, if women often have hair styling ranging from hair coloring to hair straightening process like hair smoothing, hair re-bonding, or even hair curlying. Every hair styling goes through a heating process until chemical mixing before reaching the end result. Although looking beautiful in the beginning, in the end many women complain of hair damage some time afterwards. In cases like this, hair spa is the right choice to restore the beauty of your hair as before. If done intensely then the hair damage will be slowly recovered, and hair health will soon return. Many women spend a lot of time just to arrange their hair. Sometimes because of the hectic activity, you run out of time and are willing to go out with makeshift hair look. In fact, you will not encounter such problems anymore if you regularly have hair spa. The serum and vitamins of hair spa will make your previously tangled hair become smoother and more manageable. First hair will be washed with a special shampoo hair spa. Next, the hair will be given a special cream and done the process of gluing on the hair for 20-25 minutes. Once completed, will proceed with a special steam process (can choose warm or cold) for approximately 5 minutes. Overall you will spend about 40-50 minutes while having hair spa. This treatment can be done anyone both women and men, but it is recommended to start at the minimum age of 14-15 years. Because this is when hair problems usually begin to arise. While the ideal amount of time to do a hair spa is 2 times a week.